The state of California is broke and NEEDS MONEY! State of California is broke and they are trying hard to squeeze all of us hard to collect money. Effective immediately, if you do not stop at the red light, be ready to pay $436 in fines or if you pass a school bus with flashing red signals, you will be charged $616. 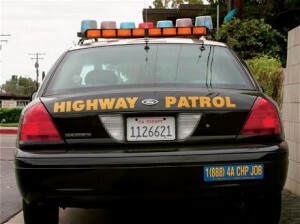 The state of California is going for blood, so be extra careful in driving; you cannot afford messing with them. I have been hearing that Highway Patrols are under pressure to issue a lot more tickets than last year with at least 30% increase in fines over 2009, so beware of radar guns, highway and traffic cameras installed everywhere and the tougher enforcement of parking rules. Just for your info, the next time you park in the handicapped zone, even for a minute, you will be looking at almost $ 1000 in parking tickets, so it’d better be worth it. VC 27360 $436 Mandatory use of passenger child restraints. Note: This fine may be reduced by completing a court authorized child seat diversion program . Note: The fine may be reduced with valid proof of correction Look out for the money grabbers in Sacramento but don‘t blame the cops. They don’t set the fines or collect them! This is one of the many reasons I left the state of California. Just my truck costs me over 800/ year to register and that was before the first fee increase. I found it impossible to notify DMV of my change of address, so I gave up. Besides I don’t think my new address is any of their f’n business! I’ waiting for the whole damn state to slide off into the ocean before we have to annex it so we don’t have to absorb their self earned debt! Don’t be a victim of municipalities trying to reach their ticket quota’s…get your favorite radar detector today at Radarbusters.com!!! One reason why not to live in California. Looks like they have officially gone from a free Republic to a big brother bully State. I just got ticketed tonight on the way home. Both of my brothers are cops in the bay area and both told me (a while ago) that they don’t even bother with cell phone tickets. Now that the fine is almost $150, I’m sure that they (have been forced to) change thier tune. The Chippy told me that I was seen from an overpass and then radio’d ahead to one of the six Pancherello’s waiting a couple miles down the freeway. As I was ready to pull away, one of them asked the other “do you think he could get us a couple more before we get out of here?” They don’t have quota’s? Yeah right! I guess I’ll just pay my fine and be more careful next time. to make a long story short, back in 2004 I got a speeding ticket for going over 100mph. my ticket was $800 and 36hours of community service. the hardest part was writing that $800 to a state I didn’t even live in! Some I agree with, e.g. passing school w/red lights flashing, texting while driving etc but most are off the chart ridiculous but frankly not surprising. They’ll probably even go higher given the fact that at least 2 major cities have declared bankruptcy such as San Bernadino, surely more will follow.